Geography: North West, Lancashire. The southern part of the West Lancashire council area. Main population centres: Ormskirk, Skelmersdale, Burscough, Upholland, Aughton, Scarisbrick. Profile: The south-western corner of Lancashire, between Southport and Wigan. The seat consists of the market town of Ormskirk and its rural hinterland alongside the less affluent Skelmersdale, once a coal mining town, but transformed by its 1960s designation as a newtown to house the overspill population from Merseyside. The seat includes Edge Hill University based in Ormskirk. Politics: A classic marginal where the rural parts of the seat tend to vote Conservative, but are outweighed by the more Labour voting towns. In this case Skelmersdale is extremely strongly Labour and while the seat was held by the Conservatives in the 1980s Labour managed to hold it with a 9% majority even in the relatively poor election of 2010, suggesting that the seat is now one the Conservatives could only challenge for in an extremely good year. ROSIE COOPER (Labour) Born 1950, Liverpool. Educated at Bellerive Convent Grammar School and Liverpool University. Former corporate manager for Littlewoods. Liverpool councillor 1973-2000. Contested Liverpool Garston for the Liberals in 1983, Knowlsey North by-election for the Liberals in 1986, Knowsley North for the Liberals in 1987 and Liverpool Broad Green in 1992 as a Liberal Democrat. First elected as MP for West Lancashire in 2005. ROSIE COOPER (Labour) See above. UKIP freepost arrived yesterday A5 glossy, usual ukip stuff, small mention of candidate + pic. This raises a few questions actually, since the ballot papers have already been printed he’ll still presumably be listed as “Jack Sen – UKIP”. Will he now be considered standing an as independent? Will his votes be considered as UKIP as far as their national vote share is concerned? Will / Should the polling stations have notices advising people? According to this report from a (procedurally at least) similar situation, the council there won’t put signs up as it could be considered influencing votes. I’m not sure I agree, in a sense it’s correcting a factual error on the ballot paper, but it seems like that decision at least is down to the local council. Returning officers are not noted for becoming involved in internal party matters so they’ll just leave matters to ukip. Last few days have seen both Con & Green Election Communications arrive. A5 half local/national from the Greens, Cons A3 nearly all national and not much about the candidate apart from his picture. Actually saw the Conservative candidate out canvassing in the Wigan road area of Ormskirk on Thurs evening. Not a great number of party workers with him though. Saw my first election posters today, both for Rosie Cooper. Martin – he couldn’t do that, as he was validly nominated at the close of nominations, together with the Party’s certificate authorising use of the Party name and emblem. Nothing at any polling station today Martin. As LancsObs says, its a party matter not an electoral one. There was a large drop in the number of electors here in Derby ward in Ormskirk, the main ward containing Edge Hill University. The electorate went from 5828 in 2014 to 4819 this year. Interestingly Labour actually gained Derby ward for the first time since the boundaries were amended in 2000. Maybe students are more likely to vote Cons than some of our posters here think. Is Edge Hill mostly student teachers? DD its a mixture of everything these days. There are student teachers there but also nursing, IT, performing arts etc. At a guess I’d have thought not more than 1 in 10 are on teaching related courses. I know Skelmersdale is strongly Labour (very strongly actually), but is Ormskirk gradually moving their way now? I gather there’s still Tory support there, but surely it’s not as strong as it once was. The Merseyside Effect strikes again! Ormskirk looks and feels like a typical Tory market town. This seat also consists of some picturesque countryside and villages. The Merseyside effect (as ”The Results” describes it) plus deprived Skermersdale are what have ensured Labour held onto this seat even during the GE of 2010 and 2015. But it no longer votes like one, Christian. The Results is quite right. I remember travelling past Skelmersdale and some of the housing looks pretty depressing. 60s and 70s boxes sort of sums it up. Skelmersdale is not the nicest area in the world (I’m being polite). Reminds me of Middlesborough. Give this seat another two elections and you might be looking at a Labour majority over 20,000! Really? There are some very leafy villages in this seat that I suspect mainly vote Tory. I suspect this may keep the Labour majority down. I was only joking when I posted that- was just referring self-deprecatingly to the Merseyside Effect, given I’m always going on about it! The Resutls – I should have guessed you were joking. I thought you’d lost the plot! Haha! However, if Corbyn wins the Labour leadership race next month, I’m certian the party will lose this seat in 2020. I agree Maxim and the earlier posts here demonstrate the point I made a couple of days ago when I said some people have totally lost the plot over Corbyn. I know this seat very well and it’s trending Labour quickly which makes a future Tory pick-up very difficult even in a landslide. Skelmersdale is classic monkey with a red rosette territory and with its increasing student and middle class public sector population Ormiskirk is quickly heading the same way. This seat also contains probably the only cases of rural areas in the entire country that are drifting Labs way with Lab even managing to pick up rural Halsall at the last set of locals which is usually a safe Tory ward. Maxim – add all of Scotland to your list. Mansfield is a weird one, like Stoke South its a more a case of Lab weakness rather than Tory strength. Tories are 5 points down on their 92 result which hardly points to a seat that’s drifting their way, its the rise of UKIP which will have disproportionately hurt Lab there that puts the Tories in semi contention. One also has to remember the Lab majority in 87 was just 56 votes (your new favourite number XD) so I’d hazard a guess that if the seat was drifting Tory at any real pace they would be doing better by now if not actually have picked it up. I think it was Pepps that made a comment that I totally agreed with when he said that some ex mining seats like Mansfield are not drifting Tory at the same pace as most, their not rural enough and the affluent middle classes haven’t colonised them to nearly the same extent as they have the Bishop Auckland’s or Derbyshire NE’s of the world. I do think it is theoretically possible for the Tories to win Mansfield with Corbyn as Labour leader but as Rivers says it would have more to do with Labour collapsing past them then the Tories having any epic rise, the winning vote share would probably be in the low 30s. In my opinion long term the Derbyshire seat Labour needs to watch out for is Bassetlaw despite the majority being larger at present. Firstly although the left don’t like him I imagine Mann is pretty popular locally so the majority will be a bit inflated already and secondly the Tories are already very strong in the rural east of the seat (they have no comparable stronghold in Mansfield) and the more Labour areas in the rural west are a sitting duck for the ‘Sherwood effect’ to spill over. As for Bishop Auckland yes it is the next in the long line of rural ex mining seats to drift Tory. It will be interesting to see if the Tories can capture any more seats on Durham Council beyond their 4 in Barnard Castle though it is complicated by independents. I’m not an expert on Stoke-on-Trent by any means but I think some of the wards in the South seat have become/are becoming more middle class and thus more Tory. However it is true there is not really any potential for a seismic shift like there is in Bishop Auckland as there are some wards where the Tories stand no chance of getting anywhere but it is probably enough to make the Tories competitive in a year where they are doing well nationally (boundary dependant). I think Stoke-on-Trent North is where the trend is more ‘artificial’ as I think the number of middle class people in that seat is very small in contrast to South. 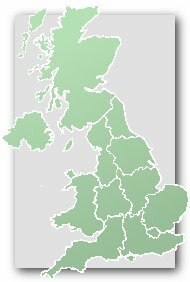 Stoke-on-Trent North is basically a complete dump (sorry if anyone on here lives there!). But these days that doesn’t necessarily mean the Tories (or UKIP potentially) couldn’t win there. Labour are already under 40% pre-Corbyn and pre-Brexit. From there it doesn’t take much more slippage for it to become a genuine marginal. @Jack I agree but my point was a scenario involving Labour losing North would be down to their own weakness as opposed to anyone else’s strength. However I was just making the argument that in South there has been some demographic shifts in the Tories direction which helps them on top of Labour’s general weakness there. This is all very premature. The boundary changes will change many of these seats markedly. A lot depends upon whether the Conservatives or UKIP can get a campaign going. Three months flying around before the General Election is not enough. Labour may have unpopular policies and a leader widely regarded as not capable, but they will have legions of helpers to get the vote out in the places where Corbynism does reach. Labour’s worst swings will be in places with armed forces connections or strong traditions of enlisting, such as Pennine Towns, Plymouth or Glasgow. The sites of nuclear installations, Copeland, Wirral, Warrington, Hartlepool, Barrow will be difficult. The busy new towns on the motorway network will terrible. Ken Hind later resurfaced as the candidate in Selby in North Yorkshire in 1997, following his defeat by Colin Pickthall here in 1992. Nowadays, he’s a local councillor on Ribble Valley Borough Council for the Dilworth ward. Parts of this seat are very rural and haven’t swung against the Tories nearly as strongly as the middle class suburbs in Merseyside proper. Unfortunately for the Tories unlike in the likes of Sefton Central or Wirral West where the bulk of the seat is middle class suburbia this seat contains a big bloc of VERY working class Lab voters in Skelmersdale that have always been rock solidly Lab and counterweighs the vote in the rural areas. The seats overall drift to Lab has primarily been cos traditionally Tory Ormskirk now definitely favours Labour. Honestly not a seat I see Lab losing ever (on current boundaries) I think even in a landslide defeat Lab would cling on here now. One of my predictions regardless of the national picture there will be a further sewing TO Lab in this seat next election. Yes, Pickthall is the type of PPC who would lose the seat for Labour in 2020 – as he almost did in 1987. But not ex LD Scouser, Rosie. Rivers10 is right. Both this seat and Sefton C are heavily Roman Catholic. Although Crosby and here have both maintained its 30%+ Tory share over the last 5 elections, so I don’t agree with Rivers10 suggestion re Sefton C that the Tory vote is in terminal decline. It’s just that almost all non-Tory voters now vote Labour there, since Shirley artificially boosted the LD vote there for years afterwards. I would have to disagree, look at the Tory vote share locally in Ormskirk, Formby or North Crosby, some really stark collapses in vote share in the last decade. Also re overall vote share while its true the Tories have maintained above 30% in both seats but here in Lancashire W they are only up 3 points on their nadir in 97 when nationally they are up 7 points, while in Sefton Central the Tories are actually DOWN 5 points on their national nadir in 97. This all suggests the Tory vote in these seats is in serious terminal decline. I assume you mean the Local electons, which is never a great guide to the GE election on Merseyside as I’m sure you’ll be aware. There are too many examples to mention, but eg Labour didn’t have a single Cllr in Wavertee CLP over a decade ago (having lost all of them over the previous 5 years) and Jane Kennedy still won easily. Re terminal decline – it does not. Stagnating I agree. It’s merely that 35% could have won any of the then main 3 Parties Sefton C in 2010. Today it never could. I agree with Rivers 10 re West Lancs. Both can’t be true, of course (unless you just mean in the Locals re b)). Some things are just facts. I’ll give you a clue – a) is fact, b) is opinion. b) might come true but it in no way can be based on a). Yes you can say why you disagree – as you often do – eg oh it’s the media, or a Blairite with an ant-Corbyn agenda and so on. But at the end of the day facts exist. I do and no they’re not great indictors anywhere but collapses as vast as that cannot be dismissed. Stagnating in one seat when they improved significantly most everywhere else certainly suggests decline, in Sefton central there aint no two ways about it their vote was down from 97. I semi agree with that but Is beyond the point the Tories look like they’d struggle to attain 35% in Sefton C these days. Theresa May visited this seat today. (I wouldn’t read too much into precisely which seats she visits – last week she was in Leeds East, which is almost certainly not a serious target). This seat is winnable for the Torries. Not as easy as others with similar majorities but would be won if the polls are accurate at the moment. I don’t believe that’s the case, even the very best polls would only just put this in the Tories reach and the latest batch has seen the Tory lead reduced to the point that this is not within range at all. Throw in the evident pro Labour drifts in this seat which will probably result in a below average swing to the Tories here and I’d peg this seat as a near cert Lab hold perhaps even with a majority in excess of 10% . If Lab lose this they are having an utterly calamitous night. With only a 12% UKIP vote, much smaller than in a lot of the North, this looks like a probable but not certain Lab hold to me. Jack S – to be fair Lancs County Council is as much of a target (and probably more so) as this seat a month later. I just spotted that the Rev Braid stood here again. He lost his deposit but doubled his vote from 2015 achieving his highest vote since 2001. Ha ha he’ll always stand here no matter what lol. May I refer you to my list of Conservative increases on the Conservative Candidates page?